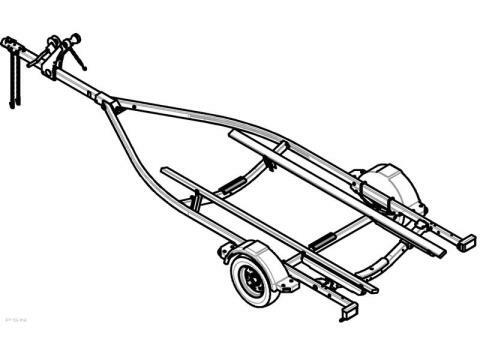 New Trailers • Boat - 1500 Lb. - 2000 Lb. Boat - 1500 Lb. - 2000 Lb. Whether you prefer bunk or roller support, you’ll find that ShoreLand’r trailers offer smoother loading, more features and a higher level of dependability than ordinary trailers. Minimum Hull Length: 192 in. Maximum Hull Length: 216 in. Maximum Transom to Bow Eye: 201 in. Frame Size: 2 in. x 3 in. x 11 ga.
Rear Cross Member Adjustment: 8 in. Tongue Tube Size: 3 in. x 3 in. x 11 ga.
Hub Size: 1-1/16 in. x 1-1/16 in. Bunk Dimensions: 2 in. x 4 in. Keel Protective Pads (# - size): 2 – 12 in. Keel Protective Pads (# - size): 1 – 15 in.